IntelliChief offers a comprehensive suite of ECM software solutions. Our enterprise content management system is user-friendly and intuitive, providing you with all the tools you need to manage your content across every part of your business. At IntelliChief, our solutions incorporate all of this (and more), right from a single platform. IntelliChief’s ECM software creates digital copies of your documents. As emails, PDFs, and hard-copy paperwork comes in to your business, they’re captured and stored in a secure electronic database. 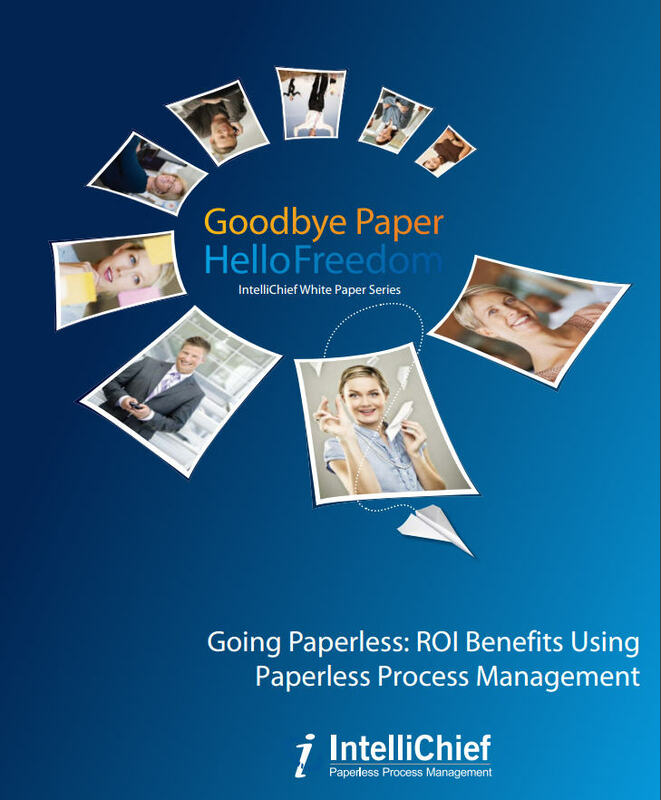 Your employees don’t have to waste time on document collection and manual processing. Inbound content is automatically categorized, and the metadata is collected and stored. This keeps your digital data nearly organized and searchable. And with custom controls, you can easily decide who can access secure & confidential content. IntelliChief does much more than simply store your files. Our enterprise content management software can extract data from your documents, without employee intervention, then put it to use in other business functions. For instance, it can import your data straight into your ERP, where it’s instantly accessible across your entire organization. As an enterprise solution, our ECM software is designed to grow with your business. Choose the modules you need now, and incorporate new solutions as your needs change. You can add users, change permissions, add or remove workflows, or optimize new business processes as you have the time. You may already use several different software programs to streamline your business practices. (For instance, you may have an ERP – or several – or perhaps even a custom line of business system.) So why do you need an enterprise content management system on top of everything else? For instance, think about your process for getting data into your ERP. If you’re keying information in manually, you’re doing unnecessary work – and you may be making costly mistakes along the way. IntelliChief’s ECM software takes care of time-consuming workflows for you. Not only do you save time on the routine tasks that you have to complete, but you can reduce your operating costs as part of the process. An electronic archive is also less expensive (and more secure) to maintain. With digital document management technologies, you can put an end to data entry costs, storage costs, postage costs, and other expenses that add up over time. You’ll see significant savings from day one. Learn more about the potential ROI here. When you’re ready for a better approach to enterprise content management, contact IntelliChief today. We can help you customize a solution for your company’s specific needs. Or, click here to request a customized demo of our ECM software solutions.